A bursa is a sac of fluid that helps tendons slide. 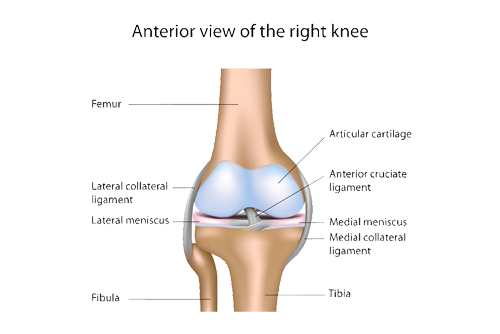 The pes anserine is an area of the knee where three hamstring tendons attach. Bursitis is inflammation of the bursa tissue. Bursitis often develops as the result of overuse or constant friction. Causes of pes anserine burisits include hamstring tightness, excessive hill running, obesity, osteoarthritis, and meniscal tears. Typical symptoms include pain and tenderness on the inside of the knee 2 to 3 inches below the joint. Pain may also be felt at this location with exercise or climbing stairs. Initial evaluation includes a medical history, physical examination, and x-rays to rule out associated conditions including stress fracture. Treatment includes rest, cross-training, ice, anti-inflammatory medications, and occasionally corticosteroid injection.